DJing from 14, making electronic music from 16. You can find me under Tim Exile, formerly just Exile. You can find my 2 albums on Planet Mu records and lots of singles on various drum n bass labels such as Moving Shadow, Beta Recordings, Frequency, Renegade Hardware etc etc. I also did an EP on Mosquito records, Cristian Vogel’s label. You can also check out one of my live improvised shows. Head to youtube and search for Time Exile for some examples. Probably my live laptop… it’s lasted for 4 years, is still going strong, and bang for buck it’s probably been the most versatile over the years. I’m currently enjoying Pro Tools again after a dark period from 6.0 to 7.0 where it really wasn’t great. I know it back to front and it’s now very stable and simple. I like the degree of accuracy you can achieve with it. 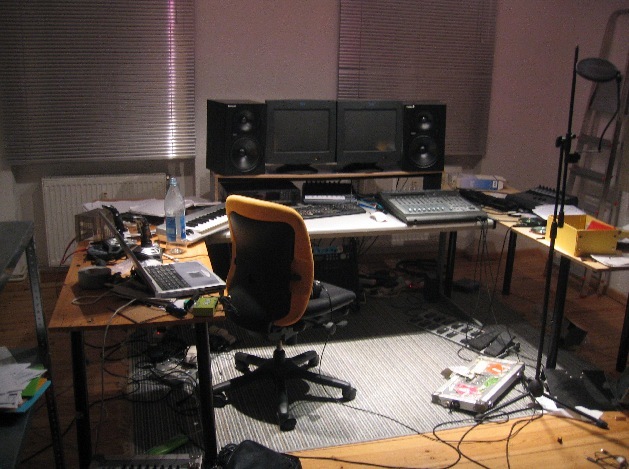 Does your physical space and environment affect your music? A Faster Computer (as always). A false room for sound isolation. A really good software solution for making all sorts of controller and HID devices talk to all sorts of software. A really good universal non-windows USB MIDI driver. A new version of Pro Tools with more audio tracks and freezing function. A new version of Reaktor with better usability . Protools TDM would be nice but it’s a way away I think. My live setup is pretty much a mobile studio. 2 laptops, MOTU 828, Alesis Photon x25, Doepfer Regelwerk, M-Audio MIDIsport 2×2, M-Audio MIDIsport UNO, Wireless headset mic, wireless logitech wingman joystick, Akai MPD16, Korg Kaoss Pad, Evolution UC16. Lots of leads, lots of things to break, lots of things to crash, lots of things for airlines to lose! How many different setup have you had? I’m now on my 11th setup! I’ve never counted before. That’s a hell of a lot isn’t it! Due to moving regularly my studio has actually shrunk over time. 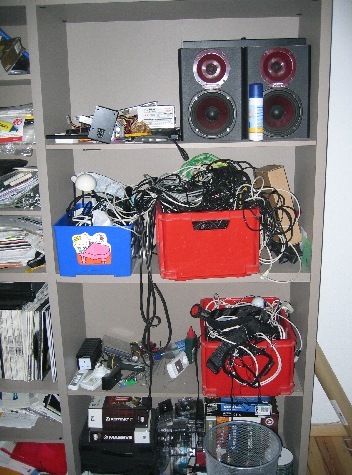 I still find it difficult to actually part with things I’ve owned but over the years I’ve sold all my hardware. 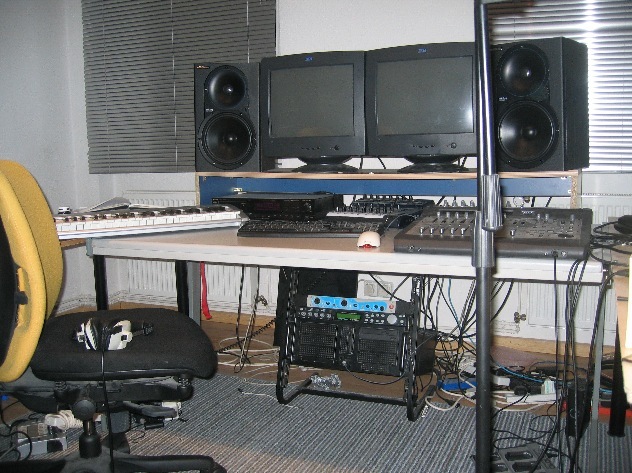 My studio is now a museum of MIDI controllers, a couple of laptops and a desktop. reasons. His new album will be released within the new few months.